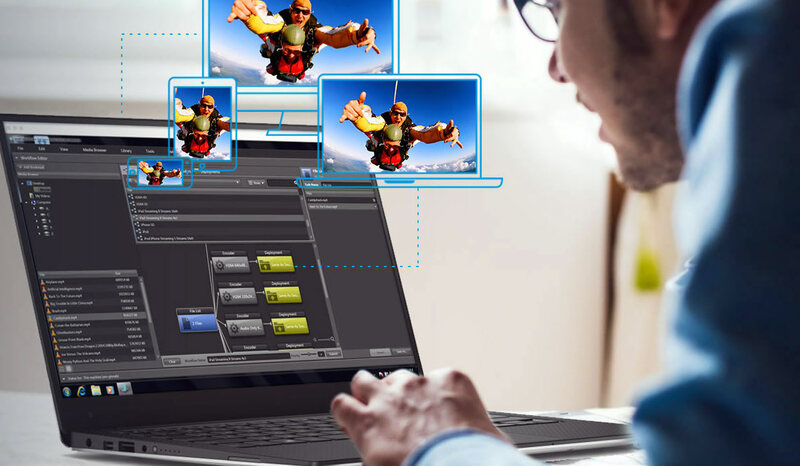 Telestream today announced that the latest version of its Episode video encoding software is now available. Unveiled at IBC 2015, Episode 7.0 now features bigger performance gains, added format support, and easier to use features. Episode’s new 64-bit native transcoding engine is designed for the entire production workflow – maintaining high quality files from the camera to edit and all the way to final delivery. With the ability to scale from a single seat to a cluster of cross-platform workstations, Episode 7.0 provides the most affordable and fastest possible encode speed for workgroups. Thanks to its Split-and-Stitch® capability, even large files can be transcoded quickly, utilizing multiple cores on a single machine or multiple machines in a larger cluster. “This is a big step forward for Episode – we’re especially excited about the native 4k support, 64-bit speed and ability to handle larger files,” said Sam Bogoch, CEO of axle Video. “Episode is the preferred video encoding companion for axle media management software, and for the many customers already using Episode Pro or Engine in their turnkey axle Gear deployments, the 7.0 upgrade will provide a big performance boost, simply included with their annual maintenance,” added Bogosh. Episode 7 is available in three levels: Episode, Episode Pro, and Episode Engine.